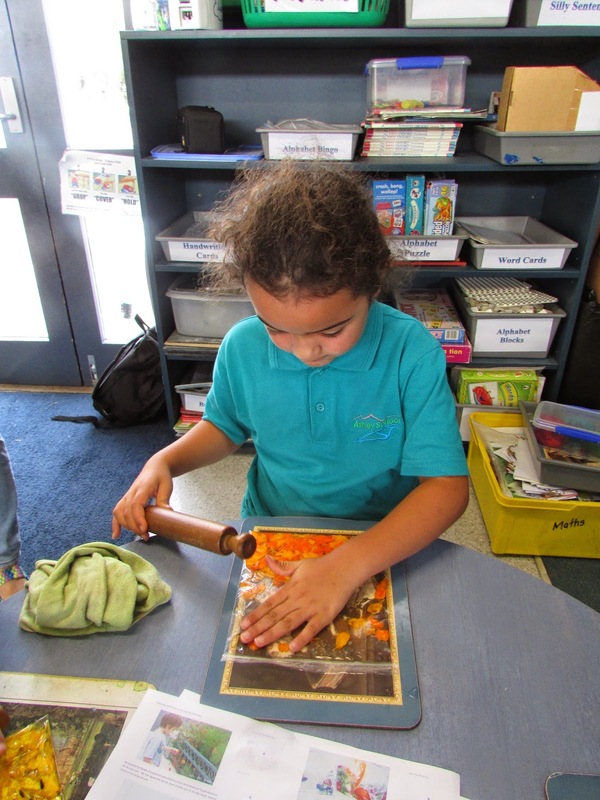 Bellbirds / Korimako: Discovery is Great Fun! The Bellbirds have had enormous fun today. Emma thinks we are creative! Tushil enjoyed building with the blocks. Sophia liked making a Valentines Day card for her family. Aziah thought our Discovery time was awesome. 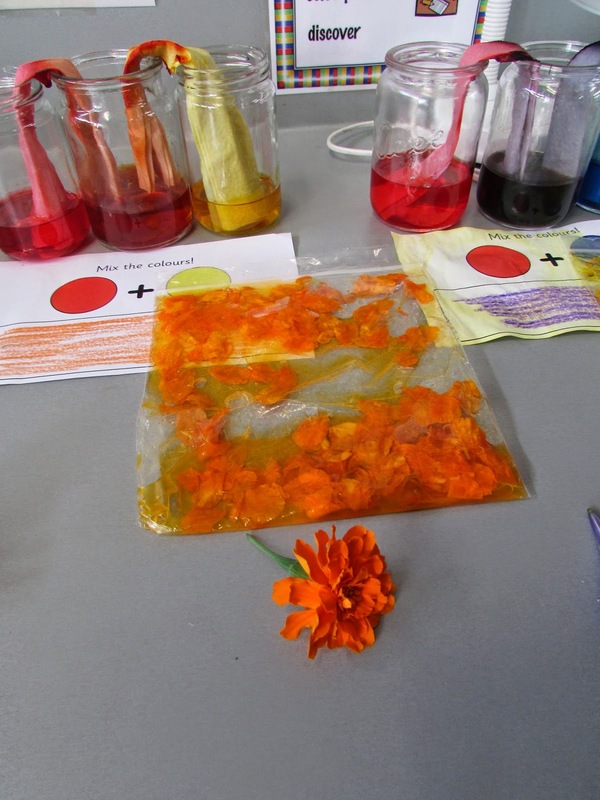 Matthew thought making coloured water from flowers was interesting. He really liked squashing the flowers with the rolling pin. 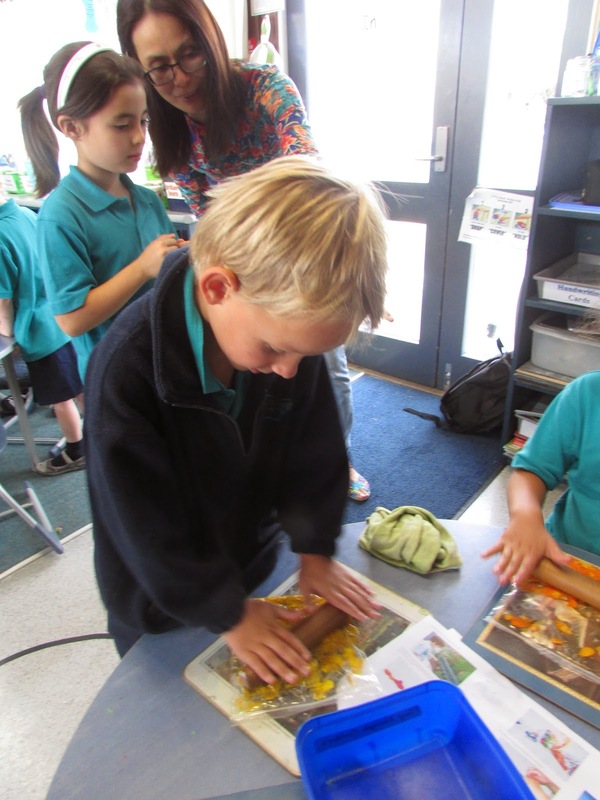 Mitchell, Jayvia and Sione had cool fun building the Brandenburg Gate! Phoenix and Izaac thought blowing through a straw to make Frozen pictures was fun. Yes we all love Discovery time. We thank the wonderful parents that help each week.